'Best novel. The big one . . . stands above all the others . . . beautifully written, and wonderfully elegiac, a book that I will long remember, and return to.' – George R.R. Martin, author of Game of Thrones. A surprising read and a worthy award winner. 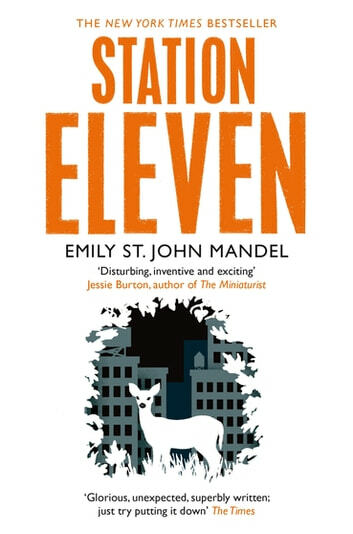 I've just finished reading Station Eleven by Emily St. John Mandel and have to say it was a surprising and very enjoyable read. The writing style is not what you normally expect to find in an SF&F book and reads more like contemporary mainstream fiction, at many points I was reminded of Nick Hornby's novels. At first this style choice for SF&F is disorientating but it soon gently guides you into the story's flow. This is where the second big surprise lies. After you have got a few chapters in you think you know what to expect. You are wrong! 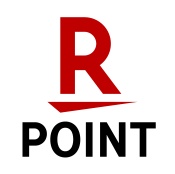 Instead of the expected linear plot based in a dystopian future 20 years after a killer flu has swept the world, the story jumps around between different time frames and different characters both pre and post disaster. Where this style could quickly become very confusing Emily Mandel has handled it with expertise so you are guided from each time frame and viewpoint nicely. The third surprise hits you later in the book. The story that you're reading is not the story you think you're reading. I won't say any more so as not to spoil the experience for you. I can see why this book has received the Arthur C Clarke award, the only questing is why it's not on the short-list for every SF&F award this year. Do yourself a favour and pick up a copy of this book. Even if you're not normally a SF&F reader you will still find much to love in this one. Post-apocalyptic fiction, with many of its tropes, but (mostly) without lapsing into cliché. Notable for the air of intense melancholy that runs through it, when discussing the everyday miracles we take for granted, and how fragile today’s society really is. Takes the post apocalyse genre in an interesting direction. From the start I wanted to learn more about the characters and how they would cope in their new world. In this book we perceive, through the eyes of the characters, what a post apocalyptic world would be like. No melodrama, no moralization, just human beings with their fears, their strengths and weaknesses, their inventiveness and extraordinary resilience. And above all this a message of love and hope. The deeply moving characters and the way the story develops make this book a real page turner. 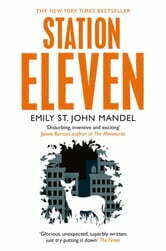 Gripping and thought provoking dystopia that felt too close for comfort at times. Loved it and can't recommend it enough.